How do I build parts kits for jobs? 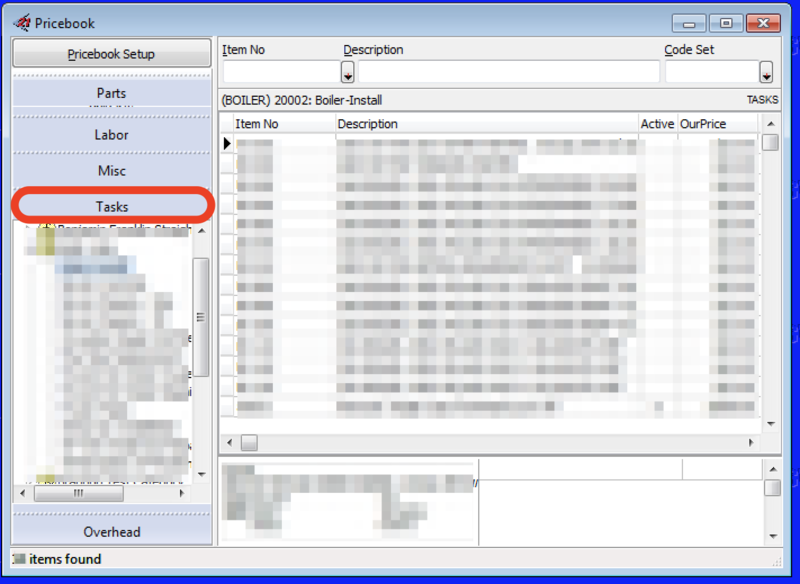 You have the ability to create kits ahead of time for jobs inside of SuccessWare21 and techs can edit the kits out in the field. This allows you to identify all the parts techs may need for an individual job and allow them to remove any items they may not have used right at the job site, enabling you to get accurate material requisitions and costing for a job while removing the strain and time associated with identifying all the parts. B. Click the 21 in the upper left-hand corner. C. Press the Purchasing Button. D. Press the Pricebook button. E. Click on the Tasks tab. G. Click the "Detail" tab. H. You can add the parts right here. To do this, right click and choose "New Line". 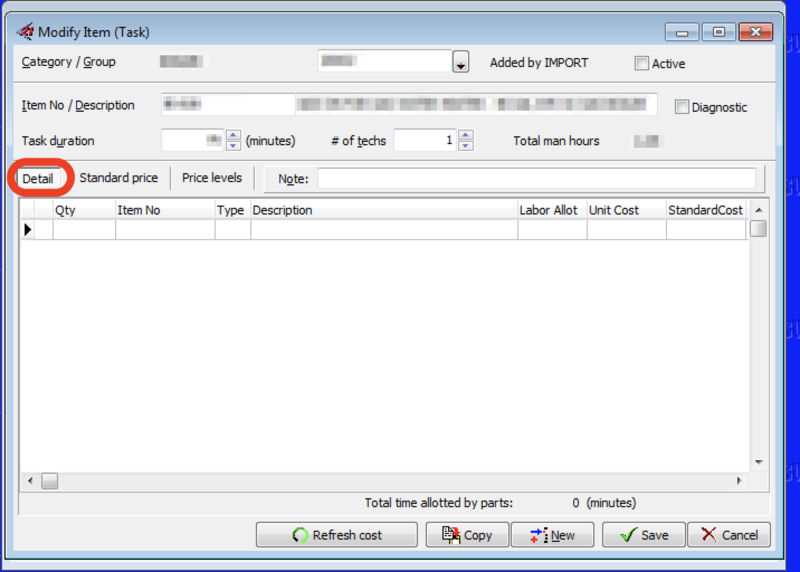 By adding in parts, you'll have assigned these parts to the task and every time this task is added to an invoice, in both SuccessWare21 and SWRemote, these parts will be added as well. When your technicians get to the "Parts Used" screen in SWRemote, those parts will be listed. If they wish they can add, remove or edit quantities of the items listed. 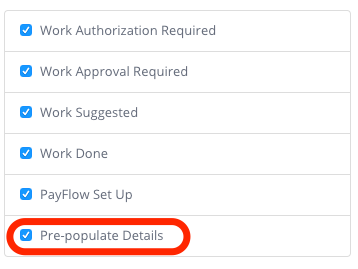 ***Note: "Pre-Populate Details" must be checked in https://manage.swremote.com for your company in order for this process to work as described. 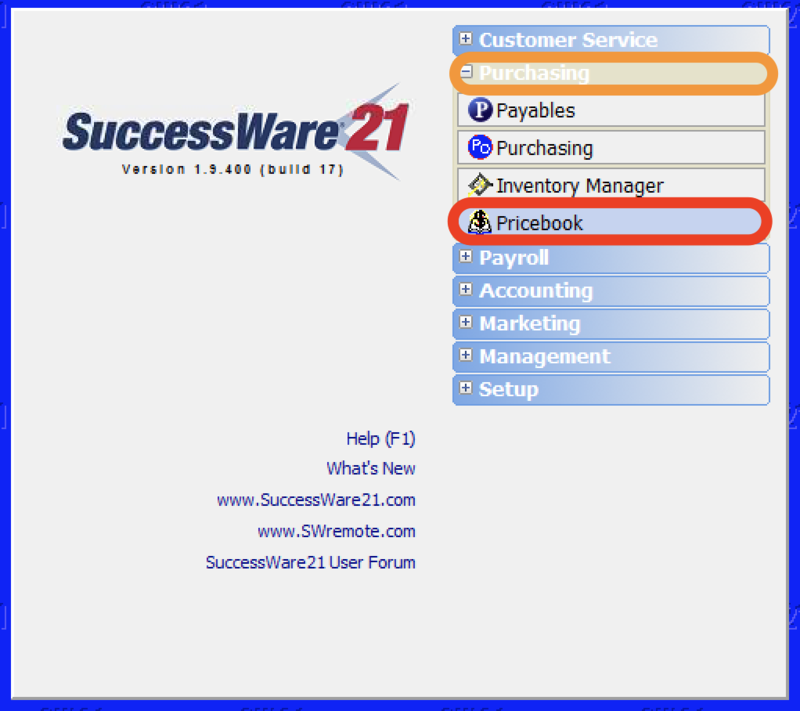 Option 2 - You can create and assign a material requisition for an open job ahead of time in SuccessWare21. 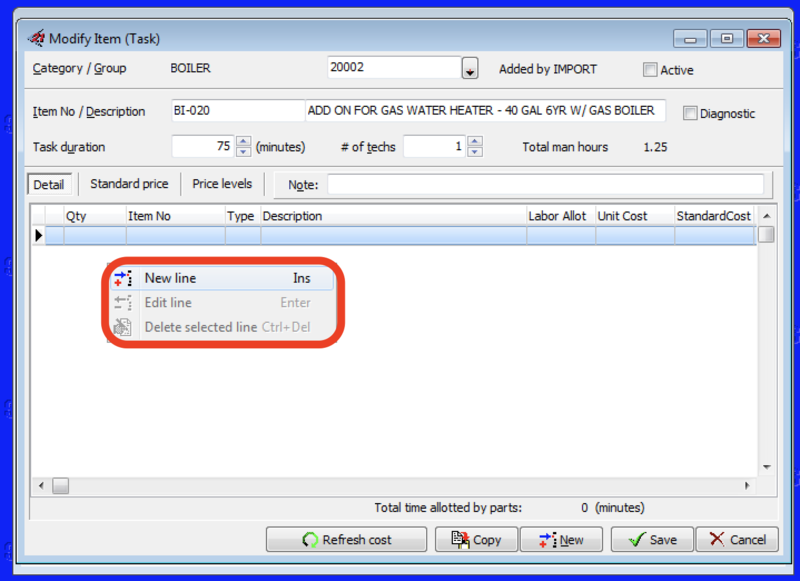 As long as the material requisition is left un-posted, the technician will get those parts on the "Parts Used" screen and can add, remove or edit quantities of the items listed.